China has a long linguistic tradition. Did you know Chinese scholars were digging into old pronunciations centuries before Europeans were reconstructing proto-languages? This is the tale of how they uncovered their ancient imperial language. I struggle with Chinese pronunciation. I have ever since the dictionary and cassettes my Grandad once gave me for my birthday. But lately I've been burying myself in hundreds of pages of Chinese linguistic history, and you know what? 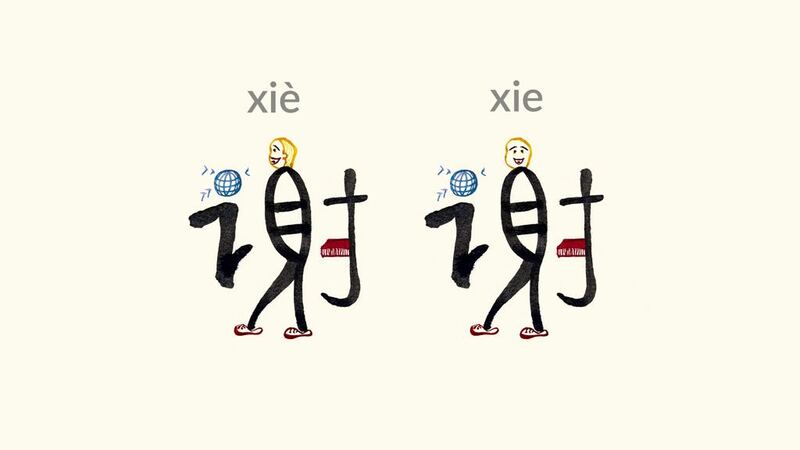 Chinese pronunciation puzzled experts in China for a long, long time. Like this fellow, a scholar reconstructing a language in the 1840s. You know the story by now, I've told it before: compare a group of related languages, classify them into a family tree, then reconstruct their common ancestor. Oh, but that's not the story this time! The scholar is Chén Lǐ. He's confronting a centuries-old problem. How do you recover the sounds immortalized in classical texts? How do you make the old poems rhyme again? Here's the catch: you have no recordings. No phonetic transcriptions. Not even an alphabet. You're working with characters, the Han characters we've talked about before, each one standing for a one-syllable word or word piece. He scrutinizes the book in front of him. It looks old, stodgy even, but it has quite a backstory. 1261 years earlier, a Mr Lv invited 8 friends over for a slumber party. They started their evening with wine and conversation, but late in the night, the chit-chat turned into a heated debate over the exact pronunciation of old texts. The way people recite them in North is wrong. No, they're wrong in the South. Enough talk! Mr Lv inked his brush and outlined what would become the Qièyùn. He eventually filled five scrolls with over 11,000 characters divided among the four Chinese tones and subdivided into rhyming groups. Then he broke down the sound of each character. How? With two more characters! An upper character to match the initial consonant, and a lower character to rhyme with the final sounds, including the tone. Take the character here, meaning "east". It had the initial of /tək̚/ and the final of /ɦuŋ/, so using the reconstructed pronunciation we'll talk about at the end, it's /tuŋ/. With this method, called fǎnqiè, you can capture the sound of a syllable! Simple and clever. But it stopped short of giving an overview of Chinese phonology. For that, rhymers needed to take another step: organize this info into tables. The 12th century Rhyme Mirror is full of rime tables. Here's one of them, the very first table in the book. The starting label gives the table number – number one – and the kind of rhyme these syllables have, a sort of /uŋ/. Along the top row are six articulation categories for consonants, and down the side, the four tones. The four rows per tone give more info about the syllable, but their interpretation is debated. So try this: find me a tongue sound, a lingual, that's clear, meaning voiceless, and has the first tone. So for this syllable type we've pieced together something like /tuŋ/. And then there's a partly-clear one, meaning aspirated /h/, so kind of /tʰuŋ/? And this one is dirty or muddy, which means a voiced sound, so maybe /duŋ/? Ok! What about all these circles though? What do they mean? Syllable not found. So when you look for a lip sound that's clear for the first tone in this chart, you find nothing like /puŋ/ recorded here. But there is a /buŋ/, mugwort! Just like that, you're excavating old pronunciations, Chinese rhyme style. And so confident scholars spent centuries sounding out ancient Chinese syllables and teaching that Chinese had exactly 36 initial consonants. But Chen Li's not convinced. He's combing through old fǎnqiè, meticulously chaining together initials of initials and finals of finals. His linked sets revealed flaws. There weren't 36 initials, there were 41. Five of them needed to be split in two. But there's more: the sounds in the rime tables are not the sounds in the Qièyùn. These are two different stages. Later research will go on to show that even the earlier stage itself is complicated. It's a compromise between ancient literary dialects. Thinking back to those late-night debates over the north vs the south, that sounds about right. But all this hard work merely left us with categories. Boxes. Boxes for four tones. Boxes for initials. Boxes for finals. What are the precise sounds that really fit into these boxes? In the early 1900s a Swede traveled to China and dug into the old rimes and tables but then added an important piece: the many living varieties of Chinese. He created surveys and set out to document them, and he used his results to fill out the rime categories with real sounds. How? Well, take that fourth tone (also called the checked tone). Along the southern coast, these checked tone syllables have a final stop sound . So this old character, meaning country, is /kuo˥/ in Mandarin, but in Cantonese it's /kwok̚/. Well, look at the last three languages in Karlgren's list of "dialects": Korean, Japanese and Vietnamese. They use Sino-Xenic pronunciations, meaning "China-foreign", basically the way the characters sounded to them when they were imported. Their words also have that k.
It points back to an ancient pronunciation for that character that ended in a consonant, like /kwək̚˧/. Linguists went on to refine these reconstructions and to paint acoustic portraits of Ancient Chinese that would sound downright foreign in Mandarin today. They even revealed small but important distinctions Karlgren missed, like these pairs of chóngniǔ. And they taught me one last thing while I was over here struggling to understand Chinese pronunciation. It's not a single language called Ancient Chinese. No, it's a period in linguistic history called Middle Chinese. "Middle". . . because there's an even older language to uncover, a thousand years older still. Maybe one day we'll rhyme our way into Old Chinese. Until then, stick around and subscribe for language.